Under the light of a near full moon on Saturday, May 6th at 8:30pm, join Darke County Parks as they welcome back the Stillwater Stargazers to Shawnee Prairie Preserve. 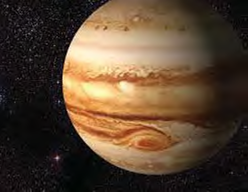 Jupiter and four of its moons will be high for optimal viewing through the provided telescopes. Participants will spend some time discussing the coming total solar eclipse to occur this August as well! Participants will meet in the parking lot at the Nature Center for this free program. Please enter the parking lot slowly with parking lights only. If the sky is cloudy, please call the Nature Center by 4pm to confirm the program is still occurring. For any questions about this or any other Park District programs, please call the Nature Center at (937) 548-0165.